The announcement comes more than a month after US President Donald Trump declined India's invite to be the chief guest at Republic Day. BUENOS AIRES: South African President Cyril Ramaphosa will be the Chief Guest at the 2019 Republic Day celebration in New Delhi, Ministry of External Affairs said on Saturday. Ministry of External Affairs Spokesperson Raveesh Kumar said in a tweet: "President Ramaphosa accepted India's invitation to be the Chief Guest at Republic Day during 150th anniversary of Mahatma Gandhi." "150 years of Mahatma (Gandhi) and 100 years of Madiba (Nelson Mandela). 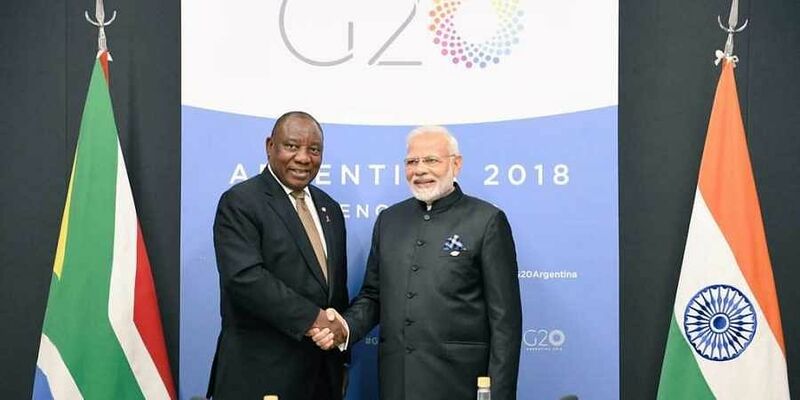 Good meeting between Prime Minister Narendra Modi and South Africa President Cyril Ramaphosa on margins of G20 Summit," he said.